Don’t like the look? Just wash off with tap water and start again. No skin is removed, lack of redness, lack of pain. Works on shorter hair growth! 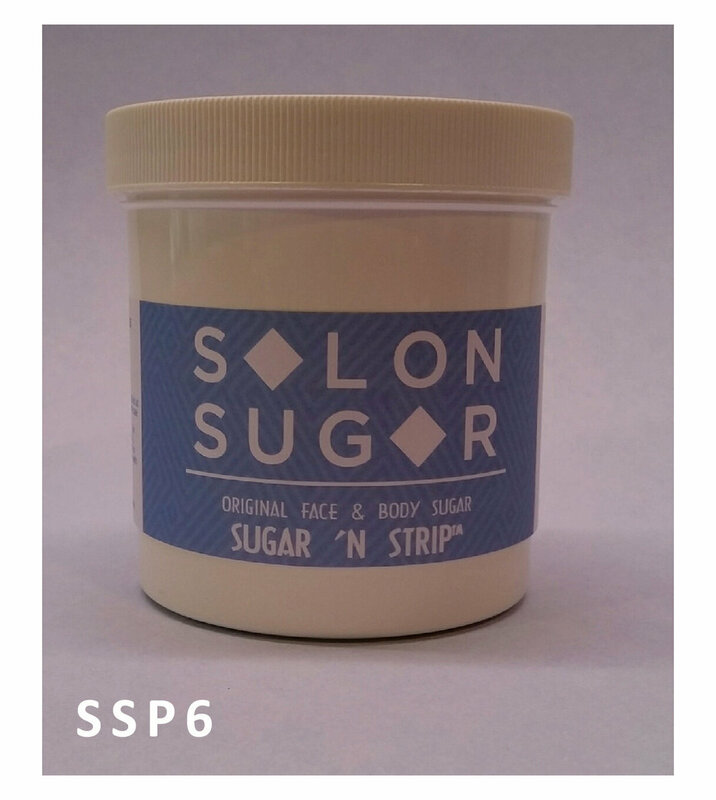 Sugar ‘n Strip® products were designed and are manufactured to work on regular, stubborn and hormonal hair with ease and are proudly made in the USA!. Our three Sugar ‘n Strip Pastes have been scientifically manufactured using our proprietary steam condensing process. Their safe – low temp – melting point makes them the ideal foundation for your hair removal business. IMPORTANT: Because the water soluble, non-toxic sugar sticks only to the hair, the Sugar ‘n Strip® process is always easy on the skin. Unlike wax/resin, by using our gentler sugar process you can even remove hair before a facial service. Tap water clean-up is safe, fast, and easily keeps your work area looking professional. Accidental spills or errors in application are quickly removed with warm tap water, and, if necessary, the sugar paste reapplied. The benefits of using a gentle, natural product are loved by clients. How do you get this great product for your salon? Check our calendar and join a 4 hour class to learn the fine points of application and removal which are slightly different and we believe will make your work even faster and better. Online video support to remind you of what you learned. This product is so economical that other wax/resin products can’t compare. One tablespoon will remove 2 upper lips and 8 eyebrows! The less product you apply the more hair it removes – no “buttering” or “ripping”. We have 3 paste products, made of sugar, lemon and water designed for the different hair types. The sugar is also great because it is warmed to body temperature – no chance of burning. Bikini Beauty – for Terminal hair. Why haven’t we seen this product before? Our company developed them exclusively. This is not the same “hand” sugar you’ve seen (we also sell/train that). This is the original thinner Strip sugar that has been “steam condensed” to the 2 other types we offer. We’ve never seen others like them and it was very challenging to invent them! Our customers have proven to us that we have a great System here, easy to use and totally safe. Want to get more details about when you can switch? Interested in adding Spa System® to your education with our one-day update seminar? 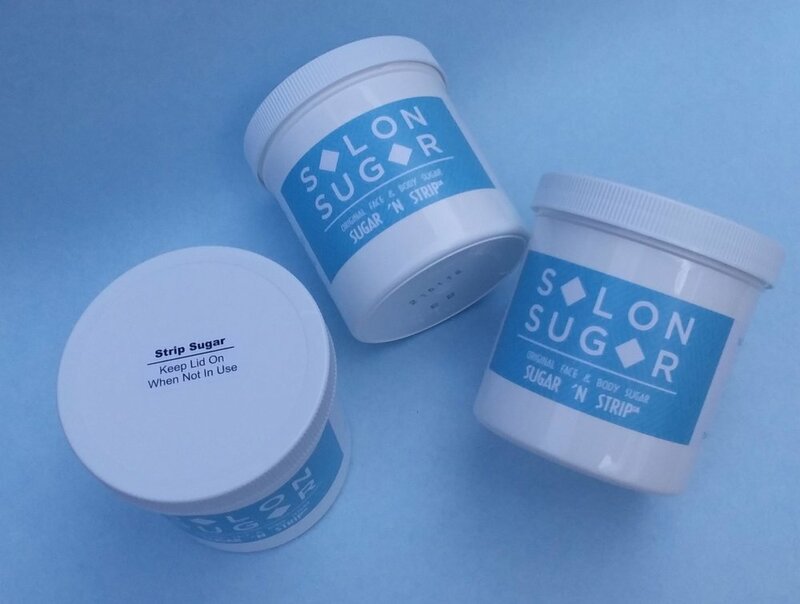 Do you want learn about upgrading your existing certification to maximize the value of your previous investment so that you can enjoy the benefits of our Salon Sugar Products, Inc. systems?